As a teen, it can feel like a challenge to figure out who you are or where you're headed in life, even if you have a goal in mind. 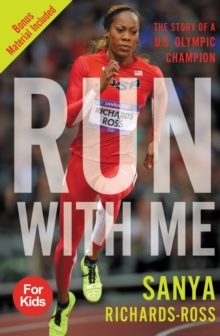 Olympian Sanya Richards-Ross knows that firsthand: from a young age, she wanted to be a track and field champion, but the road to achieving that goal-and becoming confident in who she was, the way she looked, and the people and beliefs that mattered most to her on and off the track-was far from easy. 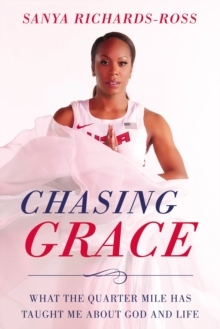 In her first book for young adults, Sanya shares her advice and wisdom when it comes to chasing and fulfilling your dreams. 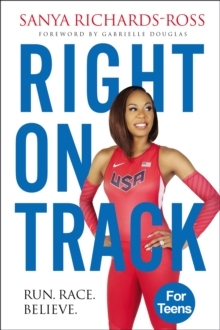 For Sanya, it was running for Olympic medals, but the hands-on success strategies and personal anecdotes in Right on Track: Run, Race, Believe can be used for whatever you put your mind to. With chapters discussing setting goals, staying focused on the finish line, and being true to yourself, Right on Track encourages you to dream big and take the ups and downs of your life with grace, strength, and faith.